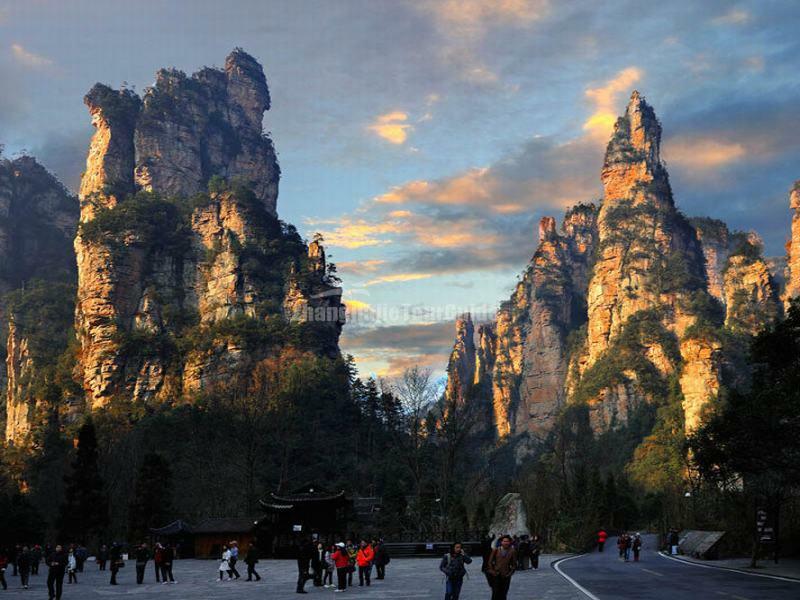 The Suoxi Valley Nature Reserve (Suoxiyu) is located in the northeastern part of the Wulingyuan Scenic and Historic Interest Area in Zhangjiajie. 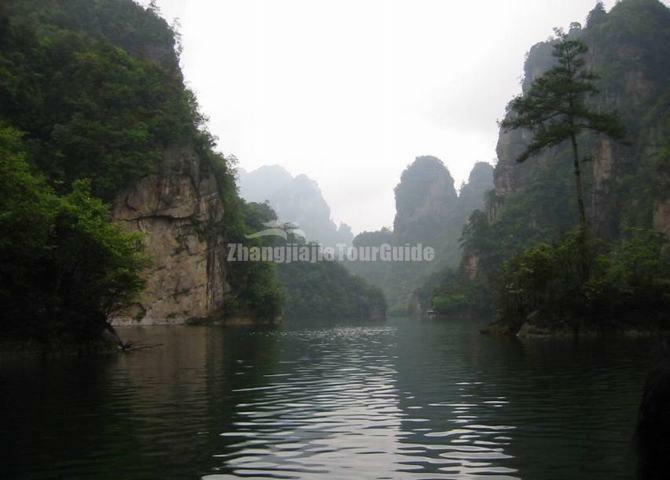 Famous for its picturesque mountains, graceful rivers, deep caves and limpid streams, the nature reserve covers an area of 147 sq km, has more than 200 scenic spots, some famous include the Ten-mile Natural Gallery, Shuiraosimen, Baofen Lake, Yellow Dragon Cave, Baizhang Valley, etc. The scenery of the Suoxi Valley Nature Reserve is more energetic than that of Guilin and more attractive than the Stone Forest of Yunnan. Mountains and valleys nearby are covered by misty clouds. Tourists will get lost in this beautiful and tranquil picturesque world. This spot looks an exhibition based in the gorge. Along two sides of the river, there display many great hills and cliffs. It offers an amazing experience of beauty. Along the road are 200 peaks like Old Man Collecting Medicine, Parents Holding a Son, and Three Sisters and so on. It has a fleet and clean river on-flowing with the width of 6 meters and length of 5 km. Shuiraosimen, literally translated as Four Gates Surrounded by Water. It is located at the exit where Golden Whip Stream emerges from a forest. Shuiraosimen marks the confluence of the four streams. Mandarin Duck Waterfall is a 50-meters-high waterfall in two stages, or steps, where the water spills brokenly over the upper ledge, producing mists so thick that they resemble fog, and where the sheer drop from the lower ledge is so forceful that it produces a thundering sound characteristic of the grandest of waterfalls anywhere. Baofeng Lake, or Treasure Peak Lake, is an artificial lake, or reservoir, that was created strictly for irrigation purposes, i.e., it is not part of a power generation scheme. Despite being manmade, Baofeng Lake has a Garden of Eden quality about it that is partly due to the lushness of the vegetation that surrounds it, and partly due to the purity of the mountain-peak runoff water that feeds it, as well as the freshness of the pristine mountain air that prevails here. The clearness of the water and its often placid surface act as a mirror that reflects the surrounding verdure and the towering mountain peaks. If one could only visit one site in all of Suoxi Valley, Baofeng Lake would likely be the best candidate. The Yellow Dragon Cave is a karst cave in the limestone-covered, eastern part of Suoxi Valley Nature Reserve and is in fact a network of interconnected caves, some with underground lakes and streams that continue to erode away the soft, porous limestone. The most outstanding, most fantastic feature of Yellow Dragon Cave – which, incidentally, is huge, measuring some 15 kilometers in length and roughly 140 meters in height in its highest spot, and covering over 50 hectares in area – are the many screamingly bright colors that meet the eye. 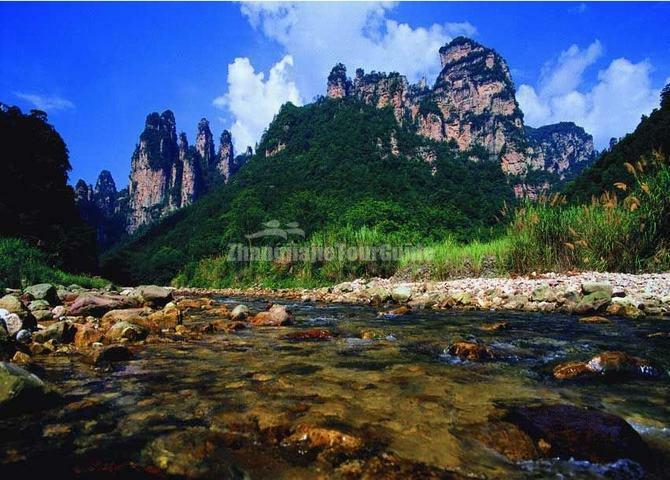 Baizhang Valley Scenic Area is located in the south part of Suoxi Valley Nature Reserve. 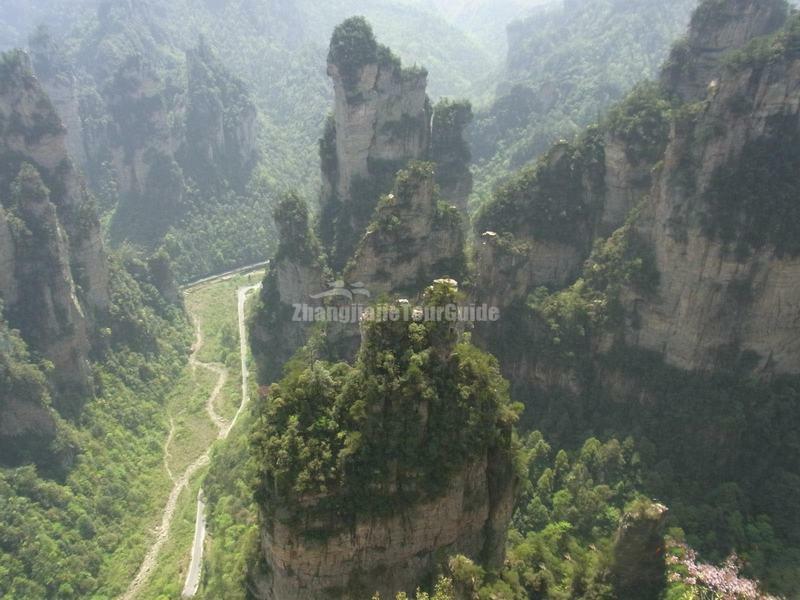 It consists of Baizhang Valley, Dongjiayu Valley and Wangjiayu Valley. It was once served as ancient battlefields. The valley is an ideal place for hikers.